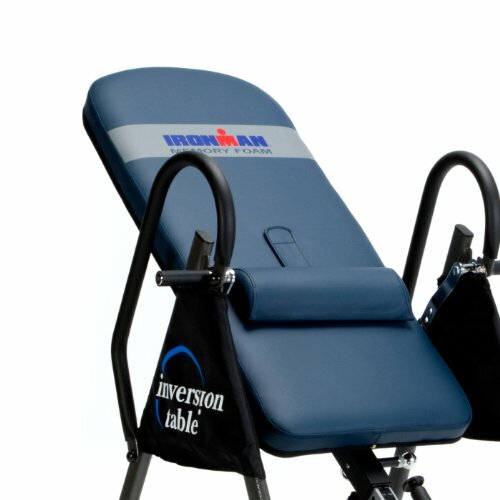 The Ironman Gravity 4000 is one of the top-selling inversion tables for good reason. At such an affordable price, this table offers the same design features and therapeutic benefits as its more expensive competitors. It is built with comfort, durability, and ergonomics in mind. It even boasts one of the highest weight capacities among the best inversion tables on the market. If you are struggling with any kind of back pain, the Gravity 4000 might just be the missing piece in your treatment plan that will give you the relief you've been looking for. You can also find reviews of our other top rated inversion tables here. 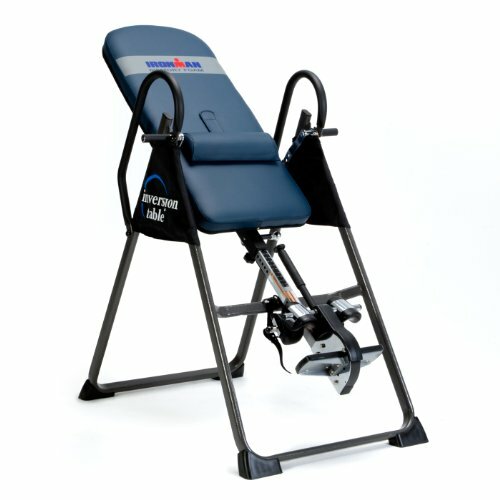 An inversion table is the piece of equipment that is used to perform inversion therapy. Inversion is a form of spinal traction, which is the passive stretching of the vertebral column. This treatment is mainly used to relieve spinal pressure due to gravitational forces. As the name would suggest, this process involves hanging upside down for some period of time. At the very least, your legs should be higher up off the ground than your head for inversion to work. The objective of hanging upside down is to give your spine a break from gravity. Ever since your early days as a toddler, you've been encouraged to maintain an upright posture. However, all of this time spent standing takes its toll on your spine. The anatomy of the vertebral column can be thought of like a pillar of blocks stacked up on top of one another. As time goes on, the pressure between each of these blocks adds up and contribute to unnecessary weight that the spine must carry. This spinal compression can lead to a multitude of back problems. Sometimes, the weight bearing joints, like the hips and the knees, are also affected. Back pain is one of today's most common health problems, as the effects of gravity can affect anyone young or old. 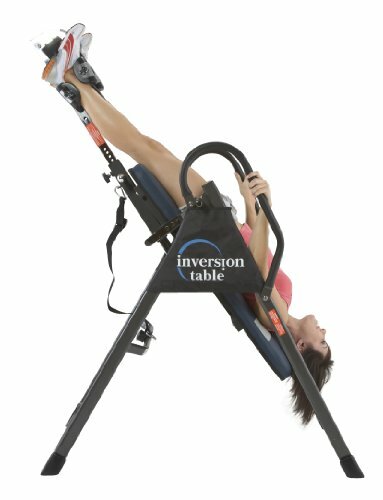 The innovation behind inversion therapy is simple, which is why the inversion table has been so popular. Many people swear by inversion and would never go without their table. The benefits of using an inversion table could include pain management, physical fitness, and overall health and wellness. The inversion table was primarily invented to combat back pain symptoms brought on by back disorders. Unlike surgical spinal decompression, inversion therapy is a gentler form of treatment without any major health risks. Using a high-quality inversion table ensures a comfortable experience while also receiving pain relief. Some people even use their inversion tables as a method of relaxation after a long day at work. Athletes have also adopted inversion therapy, as it can improve posture, flexibility, and joint health. Although inversion is unlikely to drastically change the anatomy of your spine, it can help better align your spine by relieving the pressure between the vertebral disks. Likewise, weight bearing joints can also benefit from inversion, like improved blood flow and circulation. The effects of gravity are just as detrimental to the spine as the joints in your lower limbs. You'll often hear health professionals recommending inversion therapy or spinal decompression for common back problems, like slipped disk (disk herniation) or degenerative disk disease. But what is the difference between these two treatments? You can choose to undergo surgical or non-surgical spinal decompression. Spinal decompression surgery is the most invasive type of spinal traction, and is thus reserved for only the most serious of back disorders. The surgical process could involve the removal of some of the structures in the spine. As a result, you can expect a long recovery period after any kind of surgical spinal decompression procedure. Furthermore, there always exists potential side effects to be wary of. In the case of spinal decompression surgery, you should be aware of the possibility of bleeding, blood clots, and nerve damage. If you aren't ready to face the risk of such serious side effects, you can opt for non-surgical spinal decompression. Not only is it less expensive than surgical intervention, but it also doesn't require any recovery time. In fact, there is virtually no upkeep at all following manual or mechanical spinal traction. You will likely only be asked to do some at-home exercises before treatment to further enhance the outcome of treatment. The technique for non-surgical spinal decompression consists of applied force to segments of the spine to stretch it back to its full length. This can be done manually, where a health professional uses their hands to widen the spaces between the disks of your spine. The other method is performed with the help of a mechanical table. As you lie flat on your back on the table, a health professional attaches a variety of cables, ropes, and pulleys to relieve the pressure in your spine. Inversion therapy, on the other hand, is the only technique that you can do on your own and in your own home. 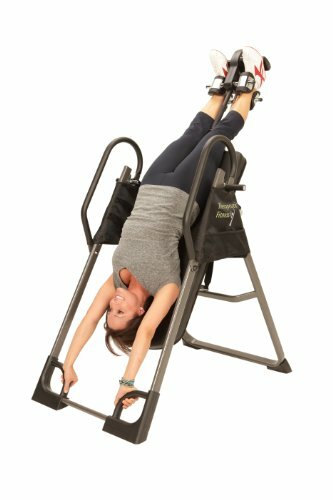 With an at-home back stretcher like the Gravity 4000, you can reap the benefits of inversion without the need to book an appointment at the clinic. The inversion table is the most worthwhile investment for people who suffer from back pain, but the issue is not serious enough to necessitate surgical intervention. The growing interest in inversion therapy can be seen in modern activities, like aerial yoga. The theory behind aerial yoga is that by performing the exercises in mid-air (with the help of a hammock and support chains), the spine is decompressed and free from gravitational stress. As such, the postural benefits of traditional yoga will also be enhanced. Inversion therapy is also the least costly of all the spinal traction methods. In this review of the Ironman Gravity 4000 inversion table, we'll look at build quality, design features, comfort & ease of use, assembly, and storage options. This inversion table is built to last. With an extra-wide tubular frame made of steel, the Gravity 4000 is one of the most robust inversion tables in the industry—it can accommodate a maximum weight of 350 lbs. A powder coating has been applied to the frame to offer protection against scuffs and scratches. The bottom of the frame has been fitted with rubber floor stabilizers to prevent any skidding while you are using the inversion table. The Gravity 4000 caters to a wide range of user heights, from 4'4" to 6'6". Anyone within that range can achieve full 180 degrees’ inversion with peace of mind. However, the recommended inversion angle for each user will vary depending on their needs, height, and experience level. If this is your first time using an inversion table, it is best to allow your body time to adjust. With this table, you can choose from three different starting positions via pivot arms. The vinyl safety covers on either side of the table will protect your hands and fingers from the pivot arms when they aren't in use. There's also a nylon strap that limits the amount of inversion once you've chosen your start position. 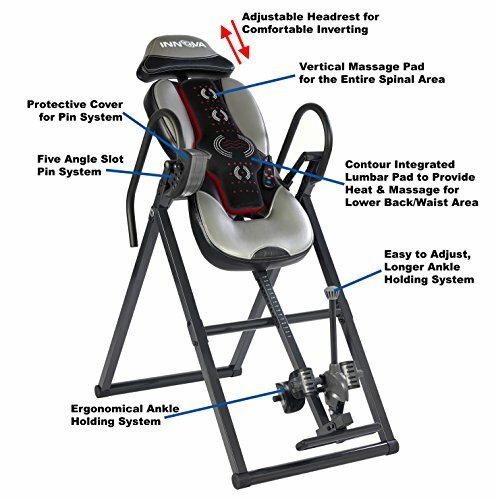 With all these features in place, you are sure to feel safe and secure while using this inversion table. The most exciting design feature of the Gravity 4000 is the patented ratchet ankle locking system. This system is superior to others, most of which are spring loaded, because this one is palm-activated. That means you no longer have to bend all the way down to release the heel holds. The lock and unlock mechanisms are right at your fingertips! The memory foam back rest ensures that you are comfortable for the duration of your treatment session. The back rest is also double stitched and covered in vinyl for additional wear and tear protection. Vinyl is a water-resistant material, so it will hold up better against accidental water spills than the nylon used on cheaper inversion tables. To make the back rest even more comfortable, the Gravity 4000 comes with a removable lumbar pillow. The option to add or remove the extra lumbar support makes this a suitable inversion table for households where more than one person will be using it. In addition to the comfy back rest, the ankle holders on the Gravity 4000 are ergonomically-designed to mold to the shape of your ankles. Your ankles will be held securely in place without discomfort thanks to the ankle cushions inside the holders. The safety handles on both sides of the table are also covered in cushy foam. These handles are extra long to make it easy for you to grab and return to an upright position once you've finished treatment. For such a large piece of fitness equipment, the Gravity 4000 is fairly easy to assemble. In the box, you will find a comprehensive list of parts and all the necessary tools to put the table together. The assembly instructions are also clearly laid out, so you should be able to follow along without trouble. Furthermore, some of the frame pieces already come pre-assembled to save you time. To be safe, it would be best to assemble the table with a partner. The entire inversion table measures 26W x 49L x 65H and weighs about 75 lbs, so having an extra pair of hands couldn't hurt. 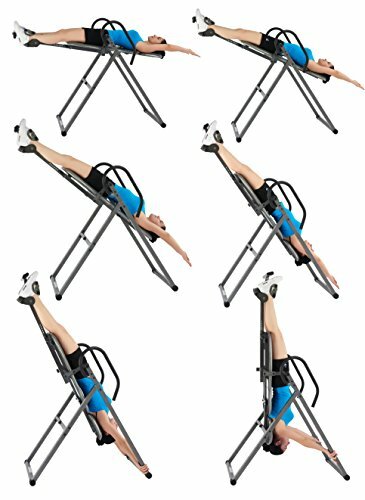 The Gravity 4000 inversion table is foldable, making it easy to pack up or store away. However, when folded, the table doesn't fold away completely flat, so it may take up a little more room depending on where you store it. If you need to tuck the inversion table in a small space, you can disassemble it partially by removing the frame from the back rest. That way, both pieces can lie flat on the floor or against a wall. 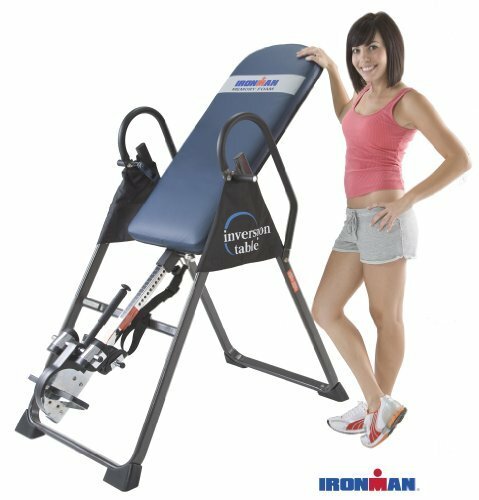 In summary, the Ironman Gravity 4000 makes an excellent choice for anybody looking for a durable yet comfortable at-home inversion table. This table is especially suitable for users who have a taller and/or heavier build, as it is designed to accommodate a wide range of body types.